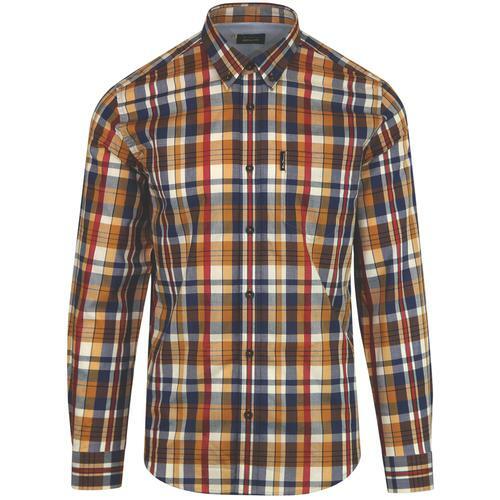 Fred Perry men's 60s mod button down tartan check shirt. 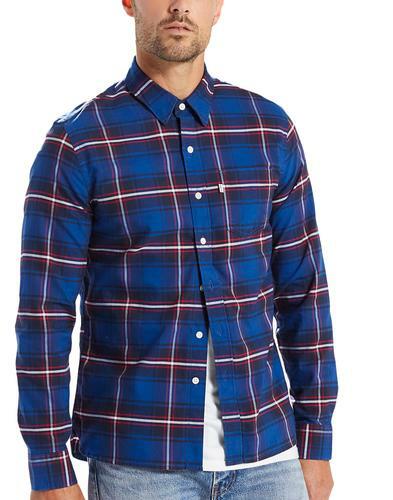 This fantastic seasonal tartan check shirt is sure to add a distinctive edge to smart-casual attire. 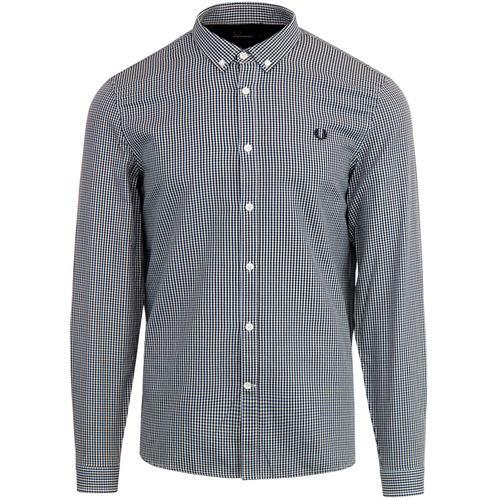 With a stylish mod button down point collar, patch chest pocket and subtle Fred Perry laurel embroidery to the chest. Fred Perry signature buttons add the finishing touch. A suave and sophisticated men's retro shirt with a hint of Ivy League inspiration. 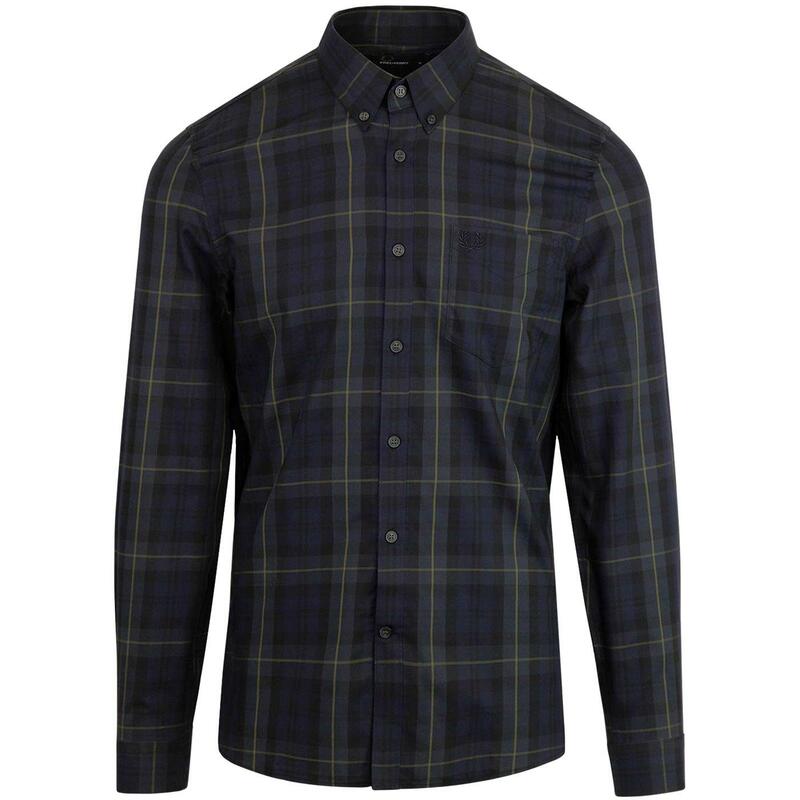 The Fred Perry contrast tartan shirt is a perfect addition to any mods wardrobe. - Fred Perry men's mod button down contrast stripe check shirt in navy. - Fred Perry signature buttons. - Subtle NAvy and green tartan check with contrast stripe design. 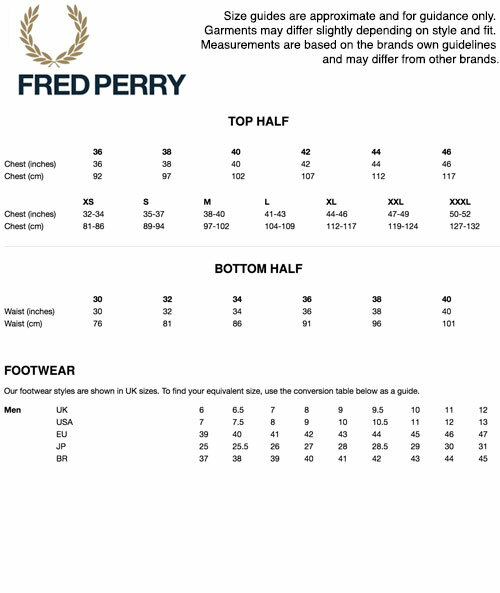 - Fred Perry laurel embroidery to chest pocket. - Long Sleeve with classic button cuffs. 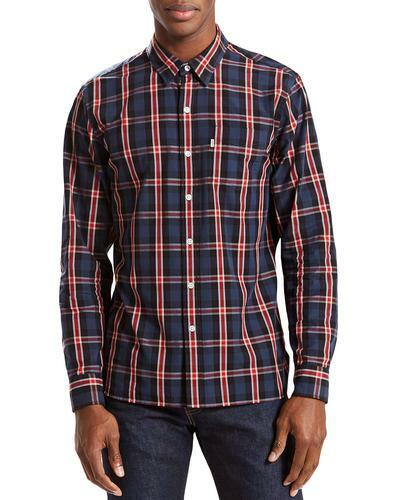 - SKU: M4535 Fred Perry Winter Tartan Shirt.